These guys say this is a new exhaust. Looks more like the Nismo exhaust that ran Tokachi and is now offered by Nissan. A #1 on the car. More testing ? The trunk looks like a slightly mismatched color...carbon maybe? 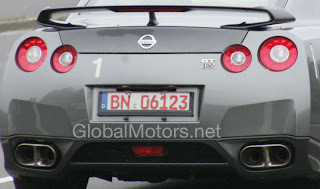 yeah, I'm not feeling the exhaust tips from Nismo. No exhaust. Just dump it onto the ground after the turbos... best turbo exhaust... Just got back from Mid-Ohio. I was helping out with my friends Scion TC. The R35 GT-R out there running in TTS was decently quick. I saw a 1:34.1 time. Thats fast. 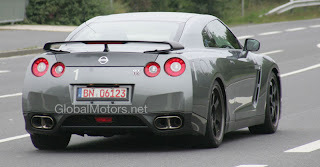 anyways, how was the trip, anything exciting to talk about other than the GT-R at the event? anyways other than that i am not liking this spec-v much anymore. i dunno why. Press release is on my other blog.